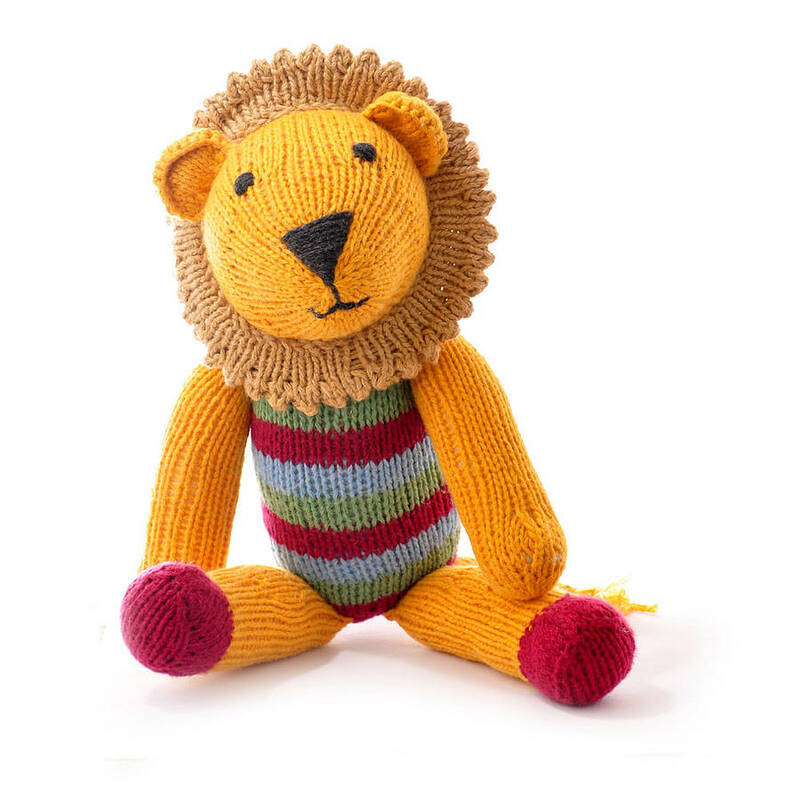 A hand knitted lion soft toy made with certified organic cotton. These lion teddies are suitable for children from birth upwards, and for big children too. We know quite a few adults who collect them. 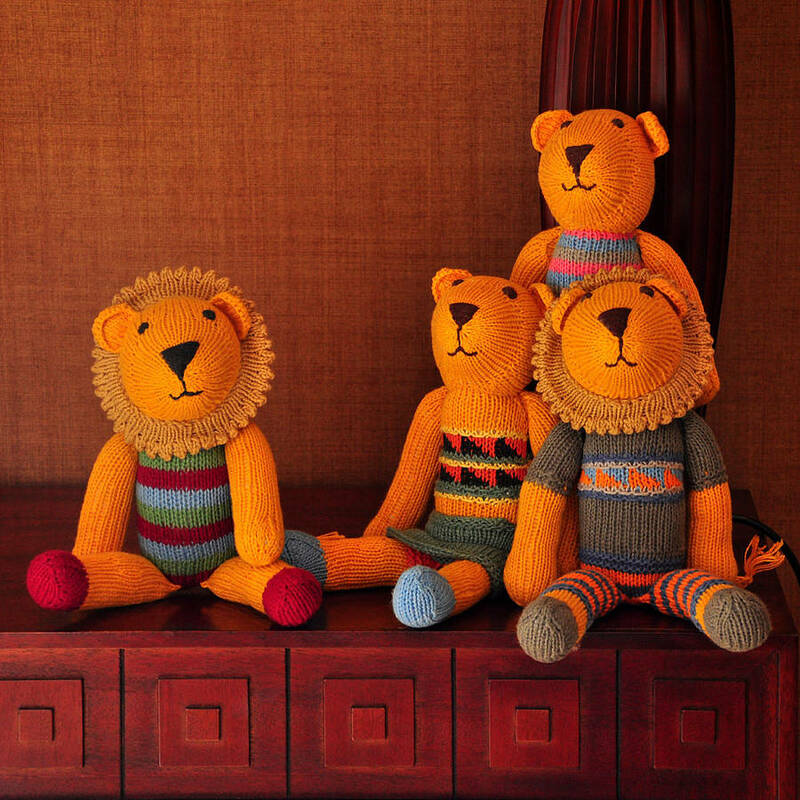 We designed the toys ourselves, and produce them at our own production base in Southwest China. This is a project we launched a decade ago to provide incomes to laid-off state workers in remote mountain towns. 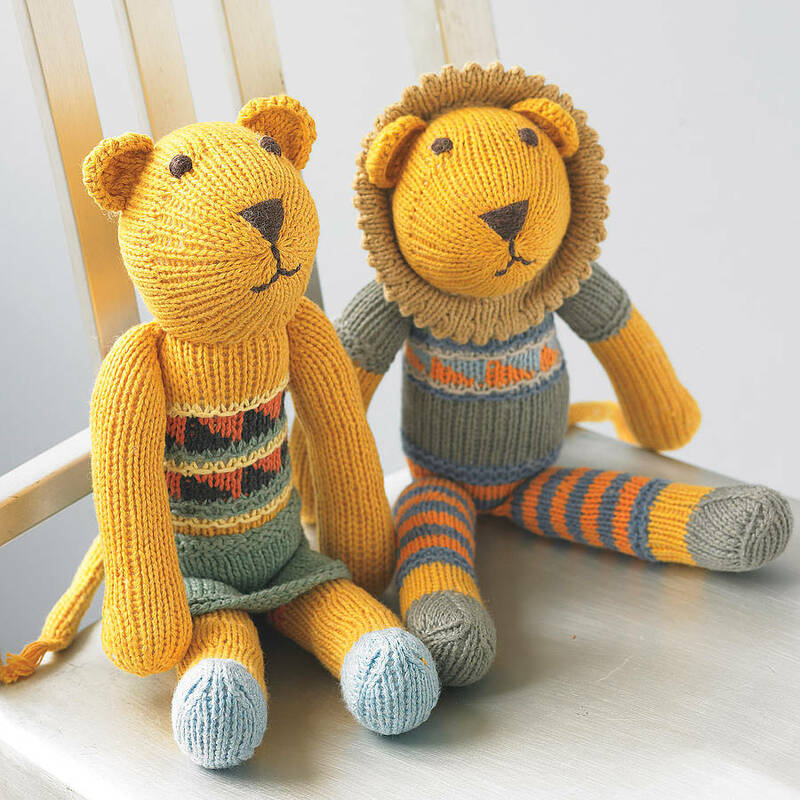 We now have three styles - the lion with the stripy trousers and the grey fairisle top, the lioness in the green skirt, and the lion in the red, blue and green stripy top. Pure organic cotton, with Oeko-Tex certified polyester stuffing. Machine washable. Lay out flat to dry. This product is dispatched to you by ChunkiChilli.